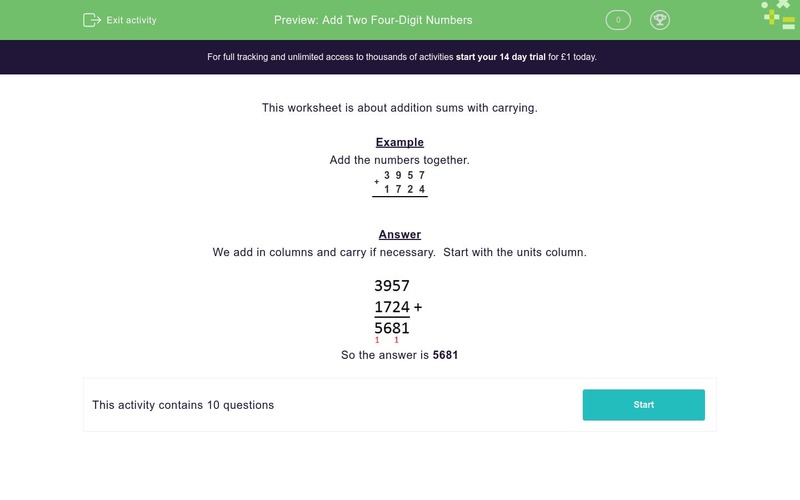 In this worksheet, students add two 4-digit numbers using column addition with carrying. This worksheet is about addition sums with carrying. We add in columns and carry if necessary. Start with the units column.